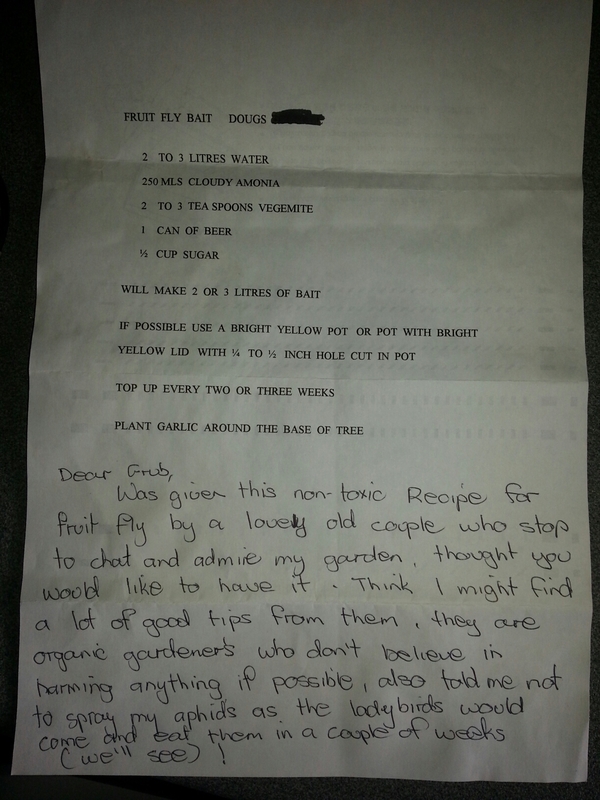 It was a recipe for organic fruit fly bait! I love the cute note attached. … it confirms my mission: Grow gardens to grow community! Hoping to check out Doug’s garden when I visit Mamna T over Xmas. Never seen a lady bird in any of my garden’s. .. I look each day as I hope to catch a couple and breed them! Previous PostBellis (I think) in the East GardenNext PostThe Peas got Punished!